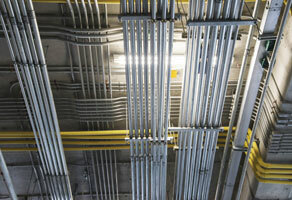 We are professional electrical contractors providing a range of commercial services. Our experience qualifies us to address any electrical installation or service call whether it’s as simple as installing a fluorescent light or as detailed as rewiring an entire office space. The following list is an overview of the commercial services we provide. Please contact us for a quote on your specific project.